the “Patek” and “Universe” from Samsung. Given the date’s proximity to the presumed Windows Phone 7 launch, we’d argue that at least one of these is likely the Cetus or another Microsoft-powered handset to kick off AT&T’s dive into the platform. 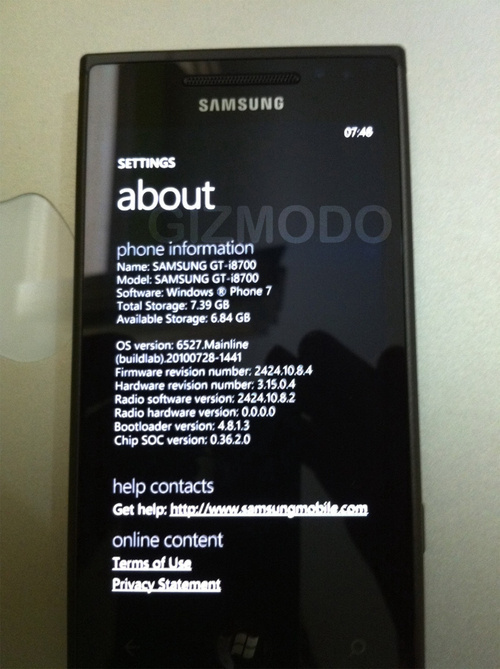 We’ve seen two rumored WP7 devices from Samsung, the i917 Cetus and the GT-i8700. There’s also a phone codenamed the Samsung Focus, which we’ve not heard much else about. Without more information about what is nicknamed what, we can’t really be sure what’s what, but there’s a pretty good chance we’ll see something.